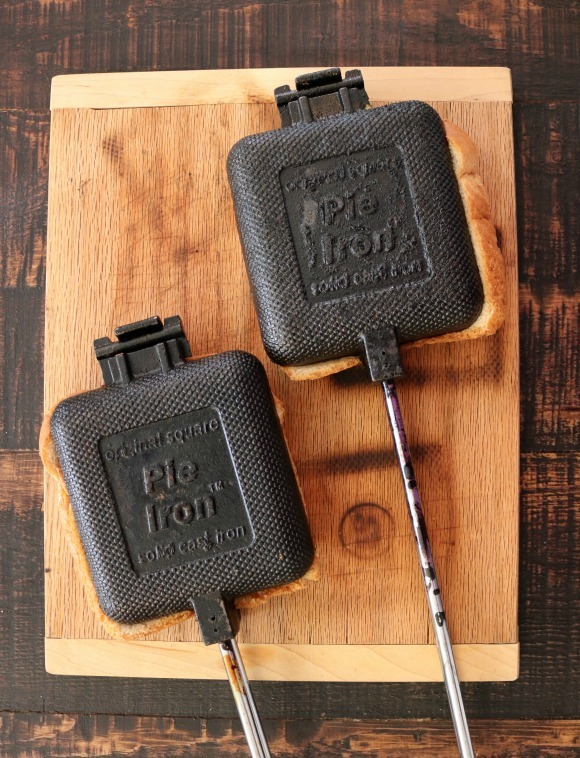 To further my new relationship with my pie irons – I thought I’d try something for breakfast. I love scrambled eggs with cheese and toast in the morning so I thought it might make sense to simply make it into a pie of sorts in the pie iron. I was also craving chorizo so I added that for good measure. 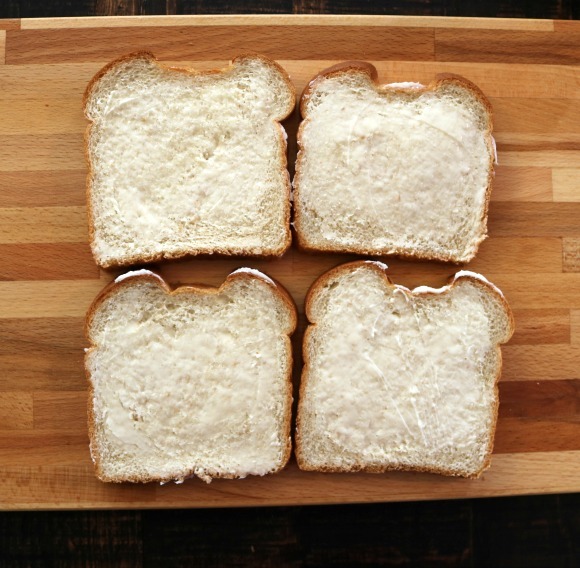 And this easy four ingredient (five if you count butter!) recipe turned out absolutely delicious! 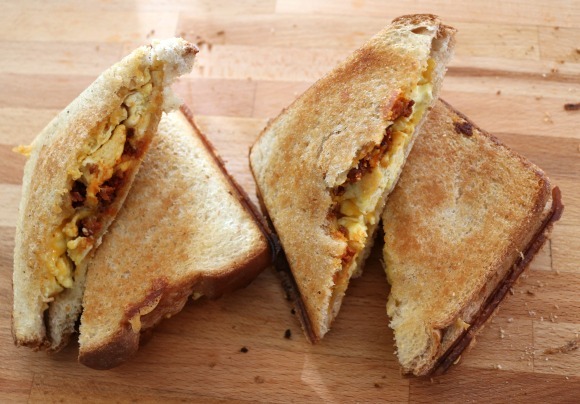 My kids told me that this wasn’t really a pie, but more of an inside out scrambled eggs with toast. And I think that really sums up the concept well. But just like with everything cooked in pie irons – it had a unique almost smoky flavor. And I got to thinking that the concept of a breakfast pie has LOTS of possibilities. 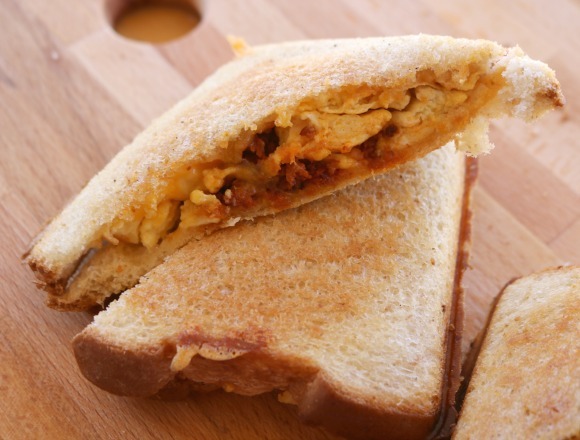 You could make this vegetarian by skipping the chorizo and adding vegetables or you could go the carnivore route and add even more meat (although I think chorizo is best left as a stand alone.) I’m thinking ham and bacon all mixed up with the eggs would be great. 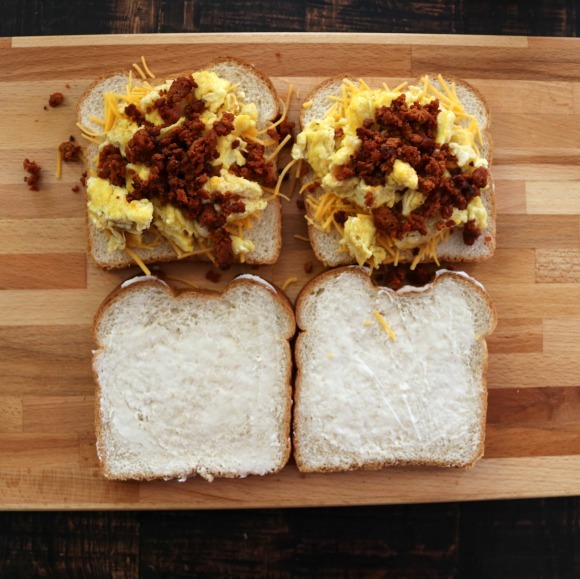 This recipe makes two breakfast pies. If you’re a big eater – you’ll probably be able to eat them both yourself. My advice is to bring supplies for more than two pies. The great part about this recipe is that you can do all the work ahead of time in your home kitchen. It’s strictly an assemble at the campsite kind of thing. Take those eggs and crack them into a bowl. 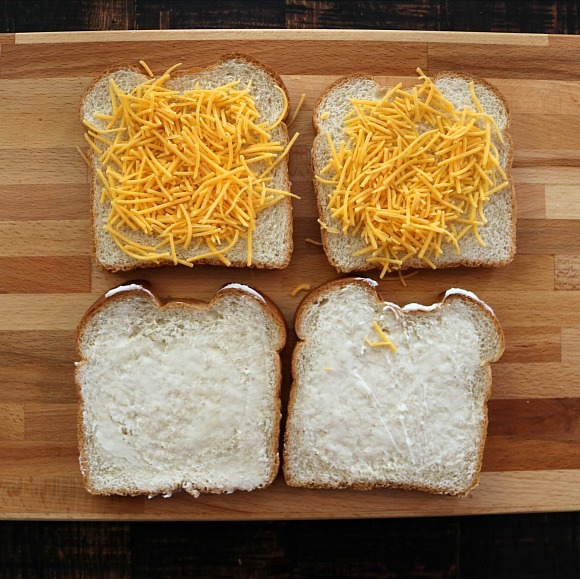 Whisk them together and if you’re so inclined – add a bit of shredded cheese. Add a small amount of butter to your frying pan while it heats up. 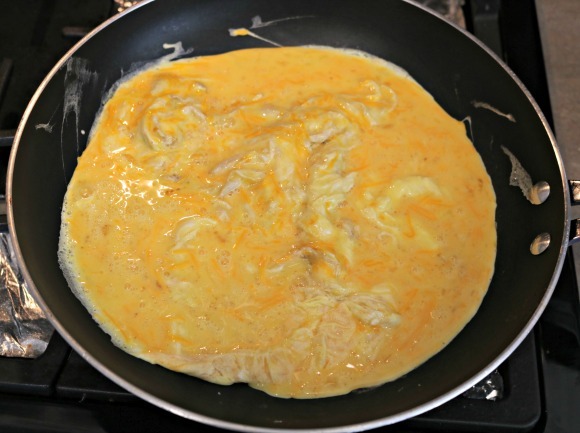 Once it’s hot – add the egg mixture. 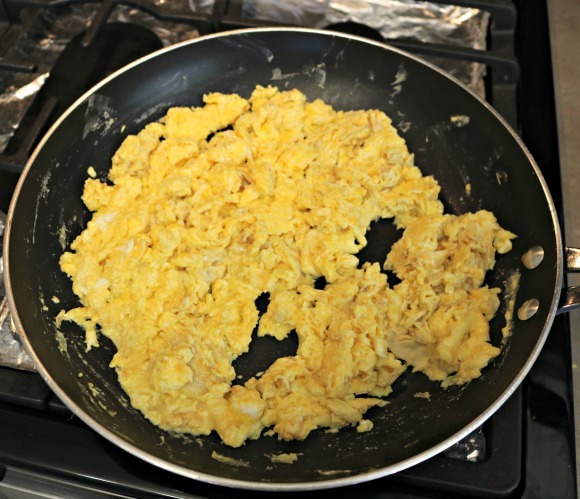 Cook on medium heat until the eggs are fluffy and no longer runny. Eggs cook pretty quickly so they should be ready to rock in about 5-7 minutes. Cool thoroughly and store in a zip top plastic bag in the refrigerator until you’re ready to pack your cooler for your camping trip. 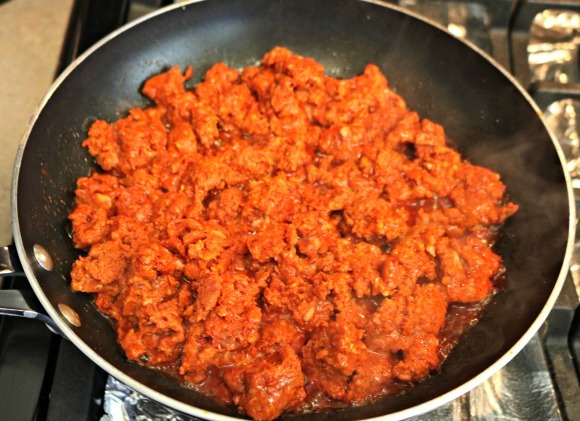 For anyone who isn’t familiar with chorizo – it’s a spicy Spanish pork sausage. 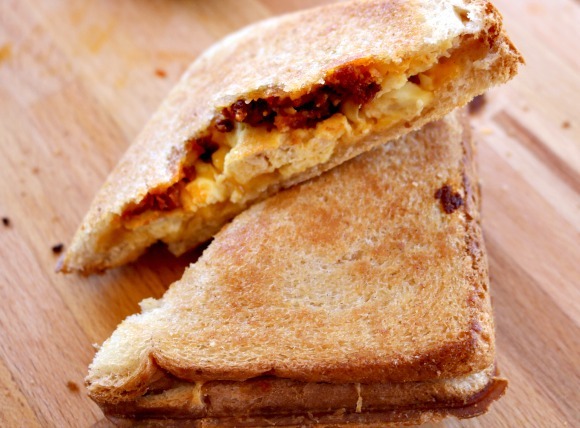 It’s vibrant red in color because of the smoked paprika that is used in it. It stains like crazy! 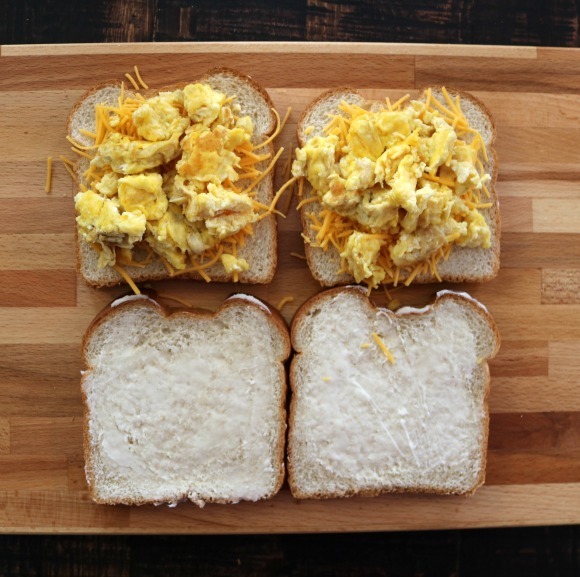 However, it’s totally worth it because it’s wonderful with eggs. Chorizo is generally sold raw so it needs to be thoroughly cooked. I cooked the whole brick because I knew I could use it with other recipes (or with just an egg scramble on Sunday morning.) Total cooking time was about 13-15 minutes. It’s hard to see a color change to indicate the meat is fully cooked because it’s so red to start with, so I generally always cook it 13-15 minutes just to be safe. Simply dump your chorizo into your frying pan and use your spatula to break it up into smaller pieces. Turn the pieces periodically while it cooks over medium heat. I didn’t take before and after pictures because it actually looks the same cooked and raw. Once the chorizo is cooked and cooled – store it in a zip top plastic bag in the refrigerator until you’re ready to use it. Get that cooking area ready! You can do this over fire, charcoal, or propane. That’s the beauty of the pie irons – they’re so versatile. You want red hot coals, white hot briquets or a warmed propane surface before you put your pie irons on. 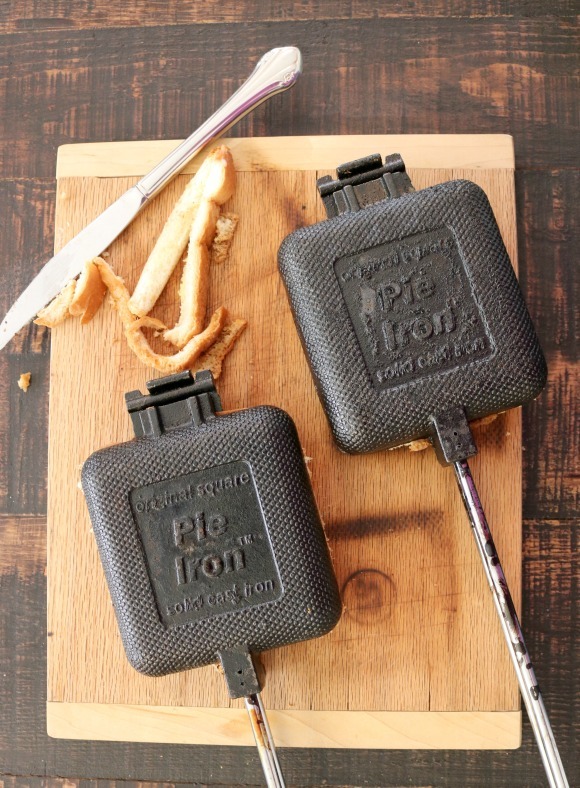 In order for pie irons to do their best cooking job – they need to be warmed up in the fire before you cook with them. 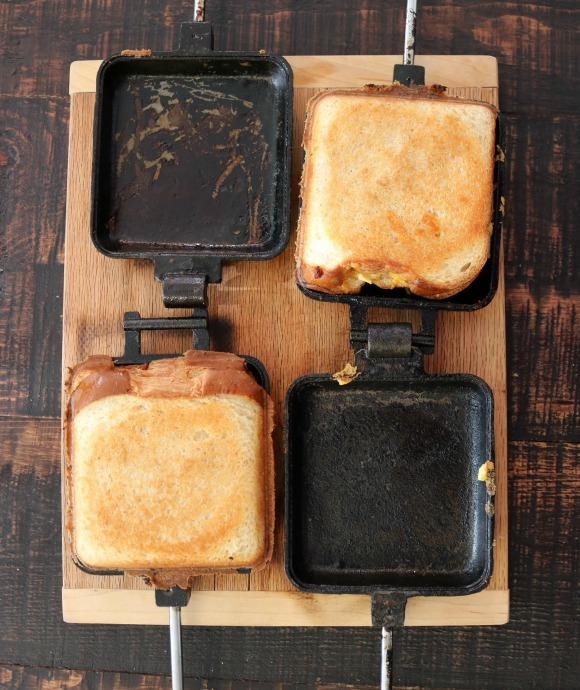 Simply place them over the cooking surface and let them warm up while you go assemble your breakfast pies. 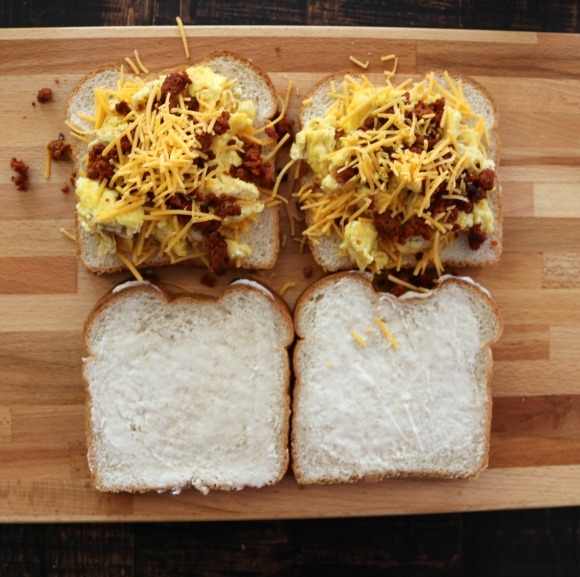 If you didn’t cook your eggs and chorizo at home – you’ll need to get those cooked before you add them to the pie. But if you already did your cooking – you just need to assemble. 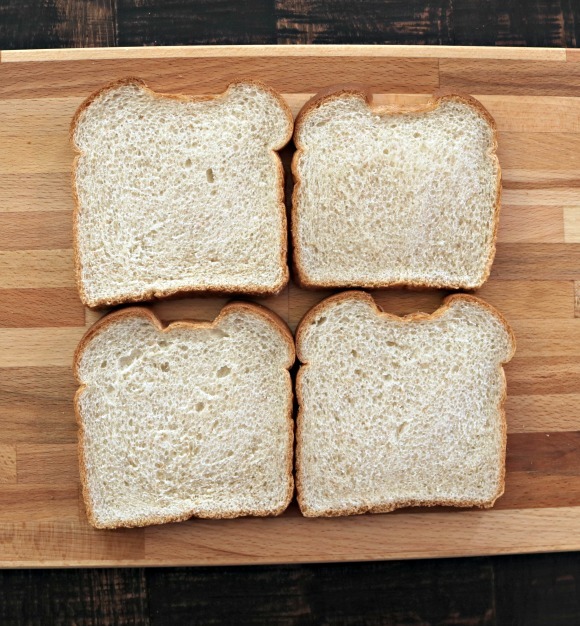 First, get out your bread and lay the slices out on a flat surface. Second, butter one side of all four pieces of your bread. Next, flip two of the pieces over so the un-buttered side is facing up. 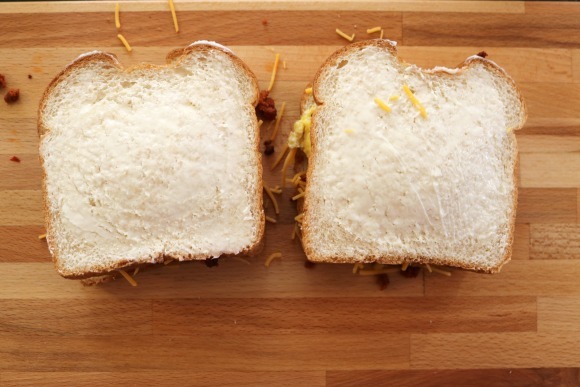 Sprinkle cheese on those slices. Add the eggs (evenly split up between the two pies). And put another sprinkle of cheese on top of the chorizo. Lastly, put the bread on top of the egg mixture – butter side up. Your pies are ready for cooking. Once you’ve retrieved your hot irons from the fire (carefully! ), place them on the cutting board or other heat resistant surface you brought and open them up. Carefully place the pies inside the two halves and close them up. Secure the clips. I tried something new this time in order to cut down on the mess on the cooking surface and it worked really well. 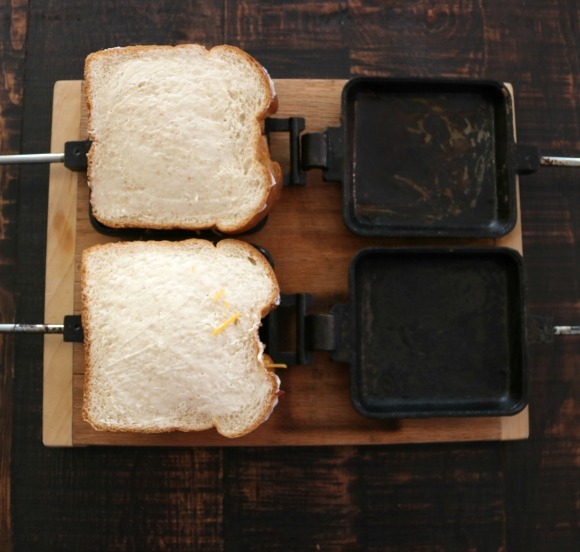 Once the pie irons are clamped together – take a butter knife and shave the excess bread off. It makes for a much cleaner pie iron when you’re done cooking! Now cook your pies for about 5 minutes, flip and cook for approximately 3 more minutes. You can check on them any time you want by unclipping the iron and taking a peek. 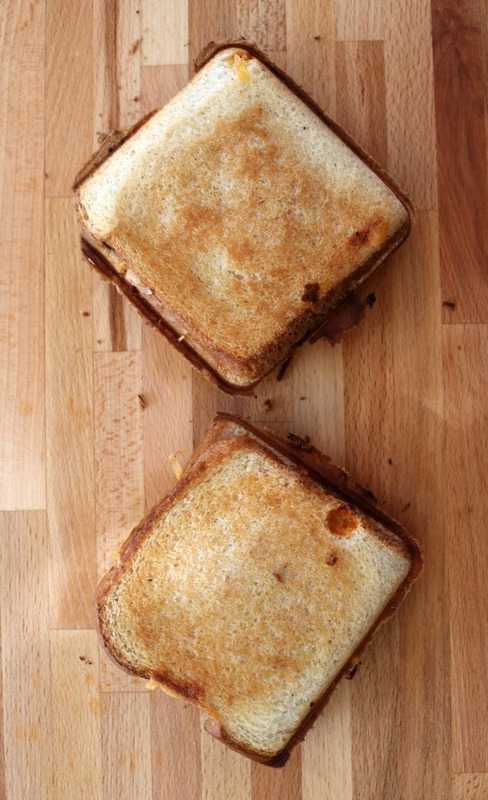 You’re looking for a nice golden brown bread on both sides. Once the pies are fully cooked – carefully remove from the fire and dump them out of the pie irons and onto your plate. And enjoy! !